The Inspector-General of Police, Solomon Arase, has directed that members of the Indigenous People of Biafra (IPOB) who were arrested in connection with the killing of three policemen on Monday be charged for murder. 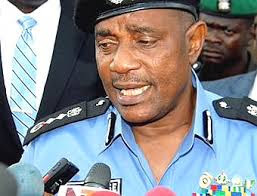 He also ordered the Assistant Inspectors General of Police (AIG) and the Commissioners of Police in the affected areas to immediately disarm members of the group, The Nation reports. Arase while condemning the killing by IPOB members also directed that any member found in possession of firearm be arrested and brought to justice. The Force Spokesperson, Olabisi Kolawole, stated these in a statement issued in Abuja on Tuesday.